Many people work hard to take care of their yards and landscaping. Sometimes, regardless of the amount of work you put in, your grass may not be doing what you hope. If you have problematic areas, you are in need of Bug-Man Pest Control lawn maintenance in Jacksonville FL. What is Residential Lawn Maintenance and Commercial Lawn Maintenance? Weeds - Weeds are not only an unattractive part of your lawn, but they also harm your surrounding grass as well. It takes light, nutrients, moisture, and space from grass in your lawn. For weed removal in Jacksonville, give us a call! Fungi - Fungus can be another major lawn issue. It can appear in your yard is several ways: orange-red dust, unsightly gray splotches, rough brown patches, stringy red threads and more. Several treatments work also as preventative measures for fungus. Focusing on drainage and airflow in your soil will help your lawn maintain its good health. Fertilization - Just like humans, plants need the proper nutrients to grow and thrive. The goal of fertilizer is to provide essential elements to the grass or plant in a readily available form. Most fertilizers contain at least nitrogen, phosphorus and potassium which are essential for growth. If your lawn seems to be lagging behind, it may be malnutrition so call the professionals at Bug-Man Pest Control and ask about our lawn maintenance service in Jacksonville. Who Offers Lawn Maintenance Jacksonville FL? Bug-Man Pest Control offers residential lawn maintenance and commercial lawn maintenance along with pest control services. We have the knowledge and experience to get your yard looking healthy and bright. There is nothing more welcoming than coming home to a well-manicured lawn. But lawns don’t take care of themselves. Weeds and fungus are constantly trying to get in between you and that perfect lawn. Fortunately, Bug-Man Pest Control provides exceptional lawn maintenance service in Jacksonville at a great price. Bug-Man Pest Control Guarantee to Customers. We are a Family Owned and Scientifically Operated business that has served the area for over 40 years. Our reputation is great amongst our customers and we have had a lot of repeat business over the years. 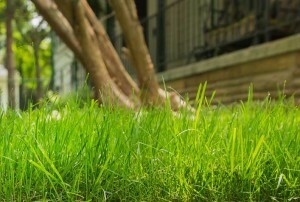 It is our goal to offer the best in lawn maintenance in Jacksonville FL. If you have any questions, please feel free to contact us today. We can answer your questions and set you up for residential lawn maintenance or commercial lawn maintenance. For exceptional lawn service in Jacksonville, give us a call anytime! We're here to help! (904) 289-7171.